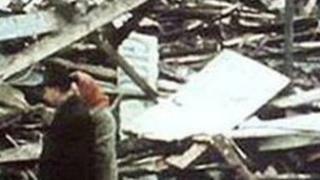 Relatives of those killed in one of Northern Ireland's worst terrorist atrocities are to finally receive an unedited report into the bombing. The High Court heard that the dossier on the McGurk's Bar massacre will be handed over as soon as possible. An examination of the police investigation into the bombing was completed in December 2012. The confirmation of the handover of the report, made to the court by counsel for the chief constable of the Police Service of Northern Ireland (PSNI), brings an end to legal action mounted in a bid to gain access to the Historical Enquiries Team (HET) review. The findings had been withheld because it was said that detectives were pursuing further evidential leads. Judicial review proceedings were issued against the chief constable, claiming he has a public law duty to disclose the report without delay. The legal challenge, brought by Bridget Irvine, whose mother Kitty was among those killed, contended that the continuing failure to hand the dossier over was irrational, unlawful and in breach of their human rights. Last November a judge was told that a finalised version of the HET Review Summary Report would be given to the families. But concerns were then raised that the document may have been rewritten. A lawyer for Ms Irvine claimed the victims' families were being retraumatised.